I'm currently considering my options for a Classic & the BMC 'C' series is on my list. Can anyone who owns/has owned the mk2 version of these cars, either A110/Wolseley 6/110 or Vanden Plas 3litre (not the 4ltr R) advise me as to their real-world experiences of these models? One point of interest is the heating/demisting as my late father bought a new Austin A60 in 1964 & the heater was pathetic, despite numerous attempt to make it more efficient ie new 'stats, part blanking the rad with cardboard etc. Thank in advance for any replies. 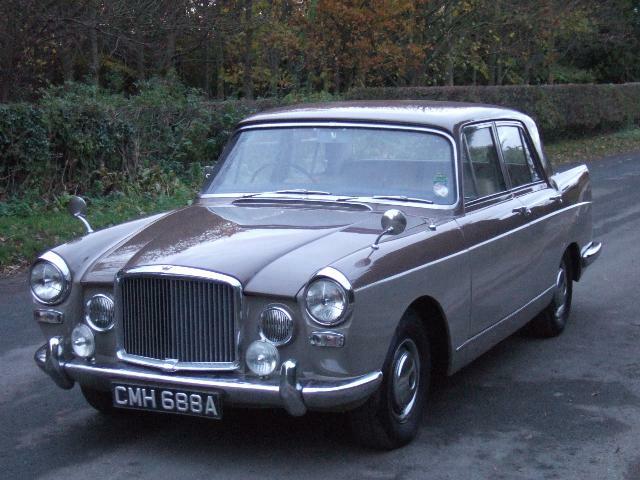 I have a soft spot for the Austin Princess 3 litre Vanden Plas. I have had a fair amount of experience with two of these fine cars and can honestly say I would like to own one again but there are one or two provisos. Firstly, it is the mk2 version you want. If I remember, the mk1 had drum brakes all round whereas the later ones had front discs which for such a heavy car were essential. I suppose they could be converted but I have not done that. I would go for the manual with overdrive version and free wheel if for no other reason that the automatic is thirstier. Rust is the biggest problem and as both our cars suffered badly back in the 70s I hate to think what state some of the survivors might be in! I like the no-nonsense feel of it, big car, big interior, big seats, easy old fashioned mechanics, enough power. Much nicer in my opinion than the "bread and butter" four cylinder variants. I did not know that the automatic Princess 3 litre was more economical than the manual. In fact that surprises me more than I can say. I would welcome your evidence as it contradicts my personal experience. The FB60 engine gives the car good power to weight performance but tends to overheat due to calcification. There is a waterway that is only about 1/8th" diameter so clogging up is not surprising. The engine is a military version and not as smooth as you would expect from Rolls Royce. ...The engine is a military version and not as smooth as you would expect from Rolls Royce. I had a 4 Litre R once, although I never got it on the road it sounded sweet as a nut to me, maybe it became coarser once on the move? As for thirst, the C series engine was more economical even in auto spec. Thanks to both of you. Ray, I apologise for misleading you & Badhuis has read my comment as I intended Many years ago I had a Wolseley 6/110 mk 2 auto which on a steady 60mph cruise (the A1 wasn't as frenetic in those days) would return 24mpg whilst loaded with the family & w/e luggage. When the 4 Litre R was introduced, they dropped the Princess name which I think was a shame. They also spoilt the shape by dropping the Farina fins and replacing the nice rear lights with some ugly horizontal rear clusters. They also flattened out the waist line and deleted the familiar roof peak at the back. On the plus side there were some improvements but the aluminium engines were strange with an "F" head which had a rather contorted combustion chamber. It seemed to have all the disadvantages of a side valve without the benefits of an overhead valve. Norseman and I have discussed the problems of aluminium engines with cast iron liners (in the Range Rover for example); with liners coming loose, blocks cracking and studs pulling out and the FB60 engines from Rolls Royce had the lot. They were reasonably smooth but not smooooooth. Then again, the Rolls Royce V8 can be a crock of sh*t too. Don't know much about the RR V8 Ray, other than it was originally a Chrysler design further developed by RR & could suffer liner problems as well, esp. the rearmost cylinders. You mention the fact that the 4L R had an IOE engine that had disadvantages from a design point of view, but then Rover used IOE extensively in both the P4 & P5 range with considerable success. There is some interesting stuff on the 'net regarding the 4L R, some of which explains the reasons for the engine's problems, not least those of a parts supply chain. The Rolls-Royce V8 was their own and different from US ones in that it’s all aluminium with wet liners that seal on O rings. The grandson of the original designer works on our industrial estate. They suffer with corrosion, a build up of crud in the water jacket than deforms the liners and can cause seizures. Pulling the liners can destroy the block. The FB 60 R-R engine in the 4L R is not as good as a Westminster engine and more likely to require work. The 3 Litre Van den Plas is a beautiful coachbuilt car of the highest quality and the Westminster/Austin Healey engine was the vest BMC made. It’s a beauty. I don’t believe the VDPs were sold as manuals and they were built separately at Van den Plas works with better paint and Connolleys Vaumol Hyde’s. They were real quality and no more difficult to maintain than a large A35/Morris Oxford. Ashley. 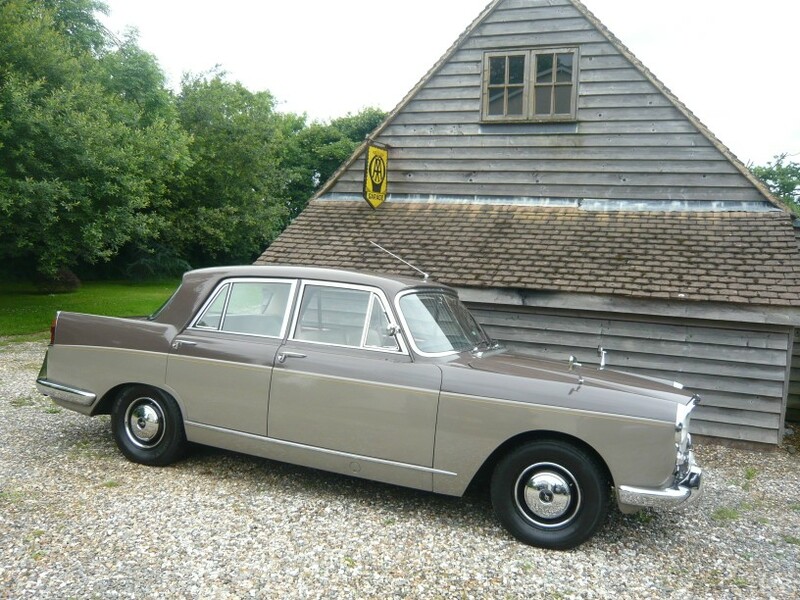 We had a 3 litre Austin Princess Vanden Plas mk2 which was manual o/d from new. Lovely car. (Same colour scheme as this one - peat over stone with champaign leather). I believe all the 4 litre R cars were automatic. My apologies Ray, I didn’t know that. My favourite colour is black and green. Interestingly my Healey 3000 has a rocker cover from one of those. A friend of mine has a MGC. 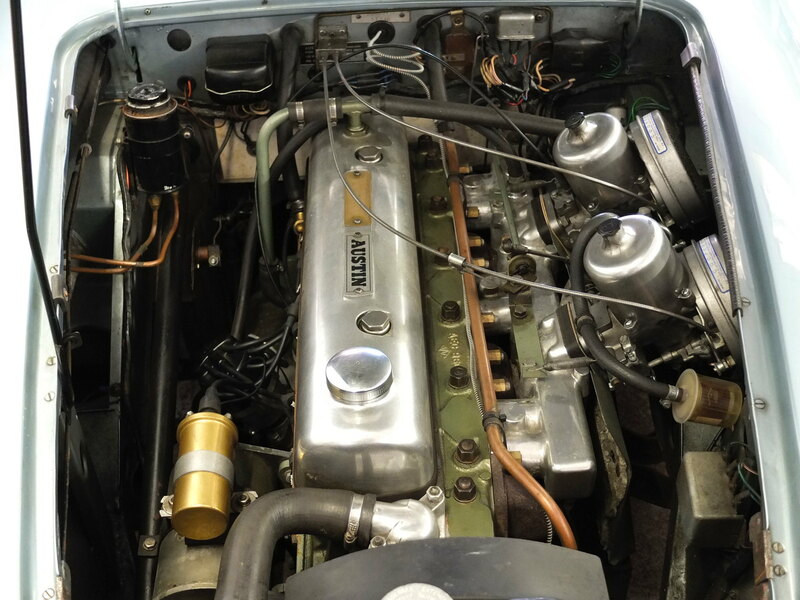 I think that engine was happier in the Healey, don't you?